Dorchester Town midfielder Sam Lanahan is set to return to Gosport Borough for the remainder of the season. It is reported Lanahan has agreed terms with the Privett Park side to help with their fight to avoid relegation from the Southern League premier division. The attacking talent has scored nine goals in 29 appearances for the Magpies in all competitions this campaign. 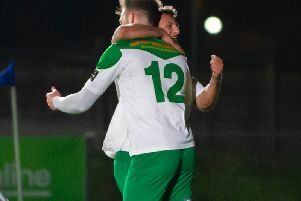 Lanahan first joined Borough at the start of last season after notching 24 goals in 31 games for Blackfield & Langley in the Wessex League premier division.